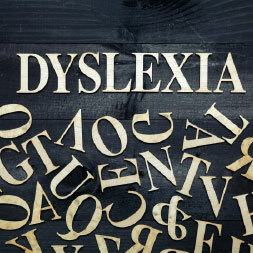 Dyslexia is a condition affecting literacy skills. It is not caused by problems with vision, rather, it is a developmental reading disorder that occurs when the brain does not properly recognise and process certain symbols. This dyslexia course analyses how our image of normality affects the way we as a society define conditions such as dyslexia. You will learn how important it is to integrate the different psychological accounts of dyslexia in order to provide a full explanation of potential causes and strategies for remediation. The course presents dyslexia as a ‘case study’ in how different perspectives might be complementary to each other and outlines different approaches to the definition of ‘abnormality’. You will learn about the different explanations of dyslexia including behavioural, cognitive, and biological perspectives. The course also considers the more practical issue of how to approach the treatment of dyslexia and associated difficulties. This dyslexia course will be of great interest to all professionals in the areas of education, child development, and adult literacy who would like to learn more about the causes of and treatment for dyslexia, and to all learners who would like a greater understanding of this common condition. It breaks down the full meaning of dyslexia loved the course and the quiz highlighted important information for knowledge and understanding.